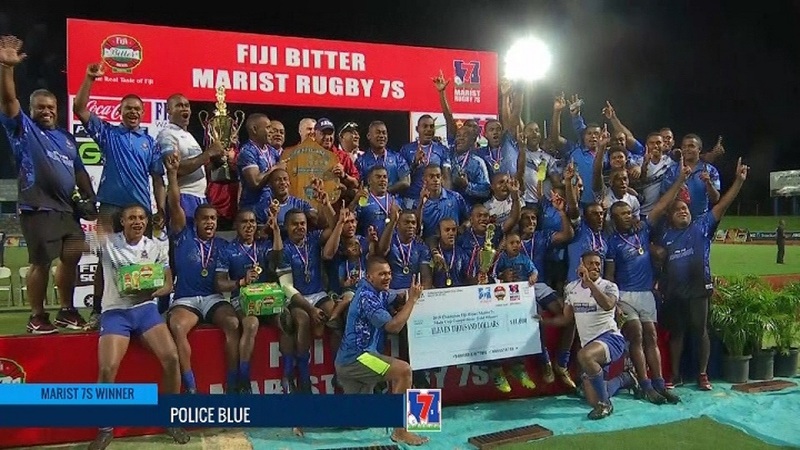 Police Blue has won the 43rd Fiji Bitter Marist 7s after beating Wardens Gold 17-12 in the cup final tonight. Police last won the title in 1985 where they beat Nabua 18-5. The Police side had the first say from Jone Tanoa who went over the try line in the 7th minute of play. Suliano Volivoli then added their second try to extend their lead 12-0. 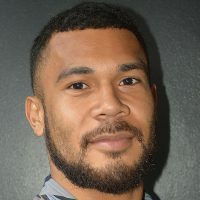 Ratu Meli Kurisaru was awarded a yellow card for a dangerous tackle allowing the Wardens to score their first try which came from Fabiano Rogovakalali. Police led 12-5 at the breather. Wardens regrouped in the second spell which saw Josefa Bilo scored their second to level the score at 12-all. Kini Douglas then scored the winning try in the extra time to seal the much needed win for the Blues. Man of the Final and Police Blue Playmaker Livai Ikanikoda says indiscipline almost cost them the game. Police walked away with $11,000 while Wardens Gold won $5,000 as runners up. In other categories, Marist Sea Hawks 1 beat Striders 17-7 to win the women’s title, Suva Oldies won the Oldies title after beating Waimanu Oldies 12-10 and Ratu Filise lifted the Under 20 title after defeating RKS OB 15-10.